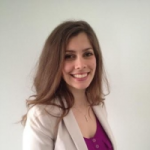 Mira has a PhD in vision neurosciences and psychophysics from the Université de Montréal. She started as a postdoctoral fellow at the MCSA in June 2017. Mira will be working on projects axed on the studying of physical and biological markers associated with normal healthy aging and Alzheimer’s disease. Émilie joined the MCSA team in January 2018. She is a postdoctoral researcher and also a neuropsychologist. Since her doctoral studies, she is interested in normal and pathological memory. At MCSA, Émilie is currently working on a research project developed by Dr. Pedro Rosa-Neto's team on the progression of neuroinflammation and Tau aggregates in screening for preclinical Alzheimer's disease. She is particularly interested in measurements of cognitive functions in relation to markers of neuroinflammation and in relation to biomarkers of Alzheimer's Disease. 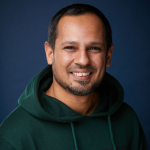 Naveed joined the MCSA as a postdoctoral research fellow in June 2018. He will be developing the methods to integrate the cutting-edge artificial intelligence and machine learning with clinical neurological data. The goal of his research is to develop an automated early prediction system of the Mild Cognitive Impairment and of the onset of Alzheimer Disease and Dementia.